Clean, soft, walk-on dry carpets. We use up to 90% less moisture than steam cleaning, leaving carpets walk-on dry in just one hour. Healthguard powered cleaning solutions sanitize your carpets by killing mould, germs and bacteria. A highly effective cleaning system that removes more stains than other treatments in the market. The efficient 4-step dry cleaning process provides a deep clean without any detergent residue. We restore the original chemical balance of carpets to make them look and feel like new. No chemical residue smell, no wet carpet smell, just a fresh carpet with a light lemon fragrance. Carpets are guaranteed against shrinking and stretching during the cleaning process. 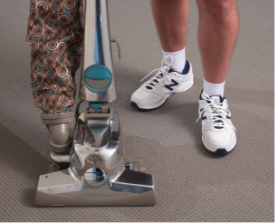 Carpets are pre-vacuumed using an industrial-strength vacuum cleaner to remove soil and debris. The main difference is the amount of water used in the process. Steam cleaners spray the carpet with cleaning product, inject water under high pressure, then extract it. Between 10 and 50 litres of water will be used per room, depending on the cleaner and the equipment. But Electrodry offers a unique dry cleaning process. This applies a specially formulated dry cleaning solution to break down oily stains, and release dirt from the fibres. Dirt and stains are lifted when the conditioning rinse is applied, leaving no chemical residue and NO WET CARPETS. And our stain-removal results are amazing! Electrodry uses sophisticated industrial-grade vacuum cleaners to thoroughly pre-vacuum carpets to release dry soil and debris. Stains on the carpet are treated using highly developed dry cleaning solutions and powerhouse stain removal products. Electrodry's carpet dry cleaning system follows a revolutionary carpet cleaning technology that removes more dirt and stains. Your carpets are groomed straight after cleaning. This helps reset the pile to make carpets look like new and promotes faster drying. There are a lot of benefits to having carpet floors in your home. Just imagine after a long and tiring day at work, you can come home to a warm, quiet and comfortable space that only wall-to-wall carpeting can provide. The biggest benefit is that carpets can help improve the indoor quality of your home. Carpets have the natural ability to trap and absorb allergens and pollutants in the air. It's also important to keep carpets clean and fresh not only to make your investment last longer, but also to remove contaminants, pollutants and allergens that may have accumulated in the carpet. Electrodry offers a safe and effective carpet dry cleaning system that lifts dirt and stains, as well as eliminating mould, germs and bacteria. We also restore the look and feel of carpet pile. We are able to achieve all that while using up to 90% less moisture than steam cleaning. The secret to Electrodry's success in carpet cleaning is the specially formulated dry cleaning solutions that clean, sanitize and freshen carpets without leaving nasty chemical residue and wet carpets. 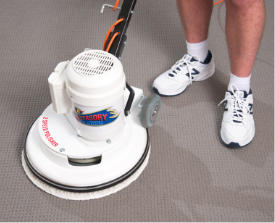 Electrodry has been Canberra's largest carpet cleaners for over 30 years. Over that time, we've performed over 150,000 carpet dry cleaning and cleaned over 20,000 lounge suites. Our cleaning systems are tried and tested and the results speak for themselves. 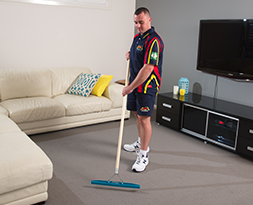 Electrodry is the top name in the Canberra region, if you're looking for the best Carpet and Upholstery Cleaning in Canberra. Our team of highly skilled cleaning technicians cover the greater Canberra territory, including Braidwood, Bungendore, Yass, Young, Goulburn, Crookwell, Queanbeyan and the whole of the ACT. Heading the Canberra team is Area Manager Brenden Smith. Brenden simply loves meeting new people and going to different places everyday. He admits that his favourite Electrodry process is tile and grout cleaning because of the wow factor. He gets to show off the dramatic before and after in the tile cleaning process.